The shooting down of the Russian Su-24 bomber by a Turkish airforce F-16 fighter jet on 24 November 2015 resulted in the abrupt fracture of the long-standing fragile relations between Turkey and Russia. Despite the fact that bilateral relations had been gaining substantial momentum since 2000, the crisis swiftly escalated. Even existing mechanisms that bring the heads of states of Turkey and Russia together regularly, such as the High Level Cooperation Council (HLCC), could not prevent relations from hitting rock bottom in political and economic terms. Following seven months of political discord, both sides decided to open a new chapter in bilateral relations. It was the first Russian aircraft to be shot down by a NATO member since the end of the Cold War. This article examines the pattern of Turkish-Russian relations by mainly focusing on the parameters that emerged and evolved after November 2015 until February of 2017. The fall of 2015 was a critical turning point because it coincided with Russia’s direct military intervention into the Syrian crisis, which increased the fagility of bilateral relations. This is primarily because, over the last decade, the parties compartmentalized their relations rather than following a comprehensive approach in their dialogue. Moscow and Ankara managed to pursue their mutual economic interests on a bilateral level, but failed to establish a cooperative modus vivendi on political issues, such as in the case of the Syrian crisis. Rather, they chose to coordinate their positions at the lowest common denominator. In the summer of 2016, the parties initiated a multi-dimensional dialogue and Syria has become a test case of this relationship reboot. However, there are a number of caveats which concern the sustainability of the relationship. Conjuncture is important in resuming the dialogue, but the institutional basis of the relationship remains underdeveloped and the dialogue between Turkish President Recep Tayyip Erdoğan and Russian President Vladimir Putin is the primary means of damage control. The outbreak of Arab popular movements in late 2010 opened a new chapter in Middle Eastern history. Moving political fault lines paved the way for chaos and instability in the region. Russia and Turkey adopted different approaches to this political shift. This difference became more apparent during the Libya operation that was carried out by NATO member states and resulted in the ousting of Muammar Gaddafi, and then with the crisis in Syria. Shortly after the start of popular protests in Syria, the crisis turned into a hot topic on both countries’ agenda. Russia decided to take an active stance in the conflict in the fall of 2015. Up until then, Russia was supporting Syrian President Bashar al-Assad and the Baath regime indirectly, on an economic and military level. In political terms, Moscow was vocal against any intervention into Syria like in the case of Libya, and has become active on the United Nations Security Council in blocking any resolution that goes against Damascus’ interests. While Assad was losing control in the country, Turkey was becoming a safe haven for migrants escaping from the civil war. As the humanitarian situation worsened, Turkey blamed the Assad regime of human rights violations and took a position against the leadership. By using hard power against the opposition groups in Syria, Assad managed to maintain his authority – but the regime lost control in many parts of the country as a cost. This paved the way for the emergence of non-state actors and a Hobbesian state of nature, and the balances on the ground changed by the summer of 2015. Assad forces were incapable of resisting the expansion of non-state actors in Syria and Russia decided to intervene directly in the conflict, as a counterbalance and to keep Assad in power. It is argued that an Iranian delegation’s visit to Moscow was influential in the Kremlin’s decision. The shooting down of the Russian Su-24 bomber was a result rather than a cause of the deterioration of relations. Russian jets started to roar over Syria as of 30 September 2015. When Russia intervened, the US-led international coalition fighting the Islamic State of Iraq and the Levant (ISIL) had already taken an active stance in Syria with their aircrafts after Turkey and the US agreed upon the use of the İncirlik base. Russia and the US signed an agreement in October 2015 that set out basic protocols for all aircraft and drone flights over Syria to prevent any incidents between Russian and US aviation. In fact, this was a necessary measure considering the fact that coalition forces’ jets were flying over Syria, further crowding the airspace after Russia’s intervention. Nevertheless, Ankara and Moscow did not agree upon any protocol to avoid a crisis. Russian jets started to bomb anti-Assad groups in Syria to the north, particularly in the proximity of the Turkish border, where Turkmens also live. Having close contacts and cultural links with these groups, Turkey shared its concerns publicly and warned Russia about civilian casualties. Shortly thereafter, Russian jets’ radar locked with Turkey’s jets and even violated Turkish airspace. The Russian Ambassador to Ankara, Andrei Karlov was summoned to the Turkish Ministry of Foreign Affairs for diplomatic consultations. In the end, a Russian delegation led by Major General Sergey Dronov visited Ankara to clarify the violations. The Turkish side perceived this visit as “an important step toward the prevention of airspace accidents.” However, this meeting was unsuccessful in laying the groundwork for establishing a mutual understanding of airmanship. Consequently, the inevitable happened on 24 November 2015. Turkish Armed Forces (Türk Silahlı Kuvvetleri TSK) declared on its website that an unidentified aircraft was shot down in Turkish airspace. Later, it became clear that the aircraft was a Russian Su-24. It was the first Russian aircraft to be shot down by a NATO member since the end of the Cold War. The incident sent shock waves through the Kremlin. Vladimir Putin simply said, “they [Turks] stabbed us in the back.” This statement plainly summarized Russian consternation and disappointment. Later, the former speaker of the Russian Duma, Vladimir Zhirinovsky, dramatically threatened Turkey by insinuating they would launch a nuclear bomb aimed at the Bosphorus. This was just the beginning of the belligerent tone publicly adopted in Russia against Turkey. After the shooting down of the Russian aircraft, Ankara declared that due to the existing rules of engagement, the Russian aircraft had been justifiably shot down since according to radar records, it violated Turkish airspace. Then, in defense of Turkey’s actions, then-Prime Minister Ahmet Davutoğlu stated: “Turkey took the necessary measures to protect its sovereignty on its territory in line with the rules of engagement.” Initially, the Kremlin denied that there had been a violation. Later, statements clarified that while there had been a 17-second infringement of Turkish airspace, Turkey could have ignored this and avoided retaliation. Two days after the incident, Erdoğan made a statement saying that if Turkish authorities had known the aircraft was a Russian one, it would not have been shot down. This was assessed as a step back from Ankara’s initial position, however the damage had already been done. Moscow and Ankara considered cooperation in all other areas so important and successful that they eventually believed that the Syrian impact could be evaded or simply set aside. Mutual irritation and misunderstanding were piling up behind warm smiles and finally exploded, throwing relations far back. The downing of the Su-24 by the Turkish F-16 became a turning point in bilateral relations. To begin with, Moscow suspended the established mechanisms between the two countries such as the HLCC. By deploying S-400 air defense systems in Syrian territory, Moscow closed the country’s airspace for Turkish aircrafts and Russian operations gained momentum at the expense of the Syrian opposition and Turkmens on the ground. This undermined Ankara’s political leverage in Syria while creating serious security loopholes for Turkey. Abdülkadir Selvi argues that the Turkish military’s operation in Syria, which started in August 2016, had planned to be carried out earlier. Nevertheless, by losing its ability of using air power in Syria, Turkey had to postpone this operation, and its capability was limited with the range of its Fırtına howitzers. This had two main negative consequences for Turkey’s interests. First, ISIL started to target civilians in border cities, like Kilis and Gaziantep, with mortars and rockets. Failing to respond to these attacks with its air power, Turkey had to adopt a reactive stance, which failed to prevent civilian casualties. Second, the Kurdistan Worker’s Party (PKK), through its link to the Democratic Union Party (PYD)/People’s Protection Units (YPG) elements gained an advantage in the northern part of Syria and advanced to the west – filling the power vacuum in the southern borders of Turkish territory. The PYD/YPG’s advance towards the west is viewed as a violation of Ankara’s redlines in Syria. Furthermore, this had some negative consequences for Turkey’s security, as tunnels were dug between Syrian and Turkish towns, which were used as a passageway by the PKK. During this period, some reports also claimed that Russian security forces trained PKK militants in Syria and that Russia supported PYD/YPG forces from the air, essentially encouraging its elements to pass to the western shores of the Euphrates. As of June 2016, both sides agreed to coordinate their policies over Syria, which amounted to a major diplomatic realignment. Aside from political consequences, relations in the economic sphere hit rock bottom shortly after the downing of the Russian jet. For example, the Kremlin imposed embargoes on Turkish exporters and contractors operating in Russia. Initially, the embargoes put pressure particularly on Turkey’s agriculture and transportation sector. Later, the Kremlin banned charter flights between Russia and Turkey, and Russian travel firms were told to stop selling Turkish holidays. Additionally, Moscow unilaterally lifted the visa-free regime, which was one of the concrete products of the HLCC meetings aimed to stimulate mobility between the two nations. It is hard to estimate the full extent of the impact of Russian sanctions on the Turkish economy. In fact, the Russian economy has been facing difficulties as a result of declining oil prices and the sanctions imposed by the West due to the crisis in Ukraine, particularly since 2014. Thus, it is not possible to calculate the exact burden of the sanctions on the Turkish economy, as economic cooperation had already started to lose momentum before November 2015. Between 2012 and 2014, the trade volume between Russia and Turkey declined gradually from 33 billion dollars to 31.2 billion. In 2015, the trade volume stood at 24 billion dollars, which is almost equal to the post-financial crisis level in 2009. Considering the fact that the sanctions were introduced after 24 November 2015, it is hard to claim that the decline in bilateral economic performance was a direct result of the sanctions. Nevertheless, in one of his interviews the Deputy Prime Minister Mehmet Şimşek said that the impact of the sanctions could be 0.3-0.4 of the gross national product (GNP), which was equal to nine billion dollars. Surely, it is hard to ignore the sanctions’ impact on certain sectors like agriculture, transportation, construction, and tourism. Looking at the statistics, it can be seen that the number of Russian tourists plunged in 2016. Compared to 2.7 and 2.14 million Russian tourists that came to Turkey between January and July, in 2014 and 2015 respectively, only 231 thousand Russian tourists visited Turkey in the same period in 2016. Even though there was an overall 30 percent decline in Turkey’s tourism sector in 2016 due to security concerns linked with terrorist attacks, the drop in the number of Russian tourists alone constituted almost 90 percent. This demonstrates the impact of the travel bans introduced by the Kremlin. The crisis also negatively affected cooperation in the energy sphere between Russia and Turkey. Russia has undertaken the building of the first Turkish nuclear power plant in Mersin-Akkuyu. Although the 20 billion dollar-worth project was not suspended, it did not continue at the expected pace. In the gas business, even though Russia continued to be a reliable partner throughout the crisis and serious disruption did not occur, Gazprom cancelled the 10.25 percent discount for natural gas prices that it agreed to implement for Turkish private companies as of January 2016. Later, the parties reached an agreement in April once again, but Turkish state conglomerate BOTAŞ and Gazprom failed to reach a similar agreement in gas prices due to the suspension of Turkish Stream negotiations. Approximately seven months after the incident, in order to take a step towards the normalization of relations, Ankara took initiative at the presidential level on Russia Day – 12 June 2016. A missive was dispatched declaring that “Turkey-Russia relations are expected to return to their deserved level soon,” but this message did not have its desired influence on the Kremlin. Afterwards, in the second missive dispatched on 24 June 2016, Erdoğan plainly articulated Turkey’s disappointment over the event, and noted that it was ready to ease the distress of the pilot’s family who had lost his life during the incident. Murat Yetkin, of Hürriyet, claimed in his column that this initiative was formulation by Erdoğan, the Chief of General Staff Hulusi Akar, and Cavit Çağlar, who is a businessman with good contacts in the Kremlin. Nursultan Nazarbayev also played a critical role in delivering the missive to President Putin at the SCO summit in Tashkent. Rather than playing the role of rule-maker in Syria, Ankara is pursuing a strategy of damage control, recognizing the fact that a political solution is the only way to secure its southern border. In fact, this initiative was undertaken after the establishment of the 65th government. Prime Minister Binali Yıldırım made a statement concerning his desire for “more friends and fewer foes;” his ensuing pursuit of the normalization process with Israel and Russia shows a paradigm shift in Turkish foreign policy in terms of the normalization of relations, particularly with regional actors. Putin also seemed to be interested in the restoration of ties. In this regard, he did not miss the opportunity to support the political leadership in Turkey during the night of the failed coup attemp on 15 July 2016. This was an important step taken by Moscow, considering the fact that in Ankara’s estimation, the West did not respond quickly enough in condemning the coup and supporting the democratically elected government. Following this step, both Erdoğan and Putin agreed to meet in St. Petersburg on 9 August 2016. The meeting was not just a symbolic gesture. After a long pause, meetings took place at the presidential and ministerial level to reinvigorate ties, and the parties agreed to return to the pre-crisis level in bilateral relations. Putin declared that the restrictions placed on Turkish companies would be removed, which was seen as a relief for the Turkish private sector. The leaders also agreed to work on reinstating visa-free travel and charter flights. Most interestingly, the parties also expressed their interest in deepening cooperation in the defense industry. However, neither Erdoğan nor Putin elaborated on this issue further. After the press conference, both presidents had a special session on Syria. In this session, parties shared their positions about the current dynamics in the country. It can be easily argued that this session and the normalization of relations with Moscow paved the way for the Turkish military’s intervention into Syria, which started on 24 August 2016. During the summer of 2016, relations between Russia and Turkey began to normalize. In economic terms, Turkish exporters, contractors, and the transportation and tourism sectors paid the highest price. Turkish exporters and the transportation sector were already contending with with negative trends in the Middle East, which were set into motion after the Arab popular movements in 2011, and facing problems in Russia deepened the problems further. However, economic considerations were not the only reason for the push to rebuild relations. Changing political dynamics and energy were other factors that provided impetus for Russia and Turkey to find common ground. Previously, common economic interests were the main driver in the Turkey-Russian relationship. In regional issues, the parties were sharing their positions and coordinating at the lowest level rather than cooperating. However, this started to change as of June 2016. Interestingly, both sides agreed to coordinate their policies over Syria, which amounted to a major diplomatic realignment. After the official apology from Ankara, Moscow gave the green light for Turkey to use military force in Syria, and both parties cooperated in Aleppo. Turkey launched the Euphrates Shield Operation on 24 August 2016 with the objective of confronting ISIL terrorism and maintaining border security. The campaign, involving the Turkish military, the Free Syrian Army, and the Turkish Air Force, gave Turkey great leverage in Syria. The Turkish military swept ISIL out of Jarablus, and secured a 37 mile-length borderline in the south. By controlling its borders and pushing ISIL to the south, Turkey maintained the security of its border towns, which had suffered from rockets and mortar attacks. Additionally, Turkey pushed deep into Al-Bab, which gave a clear signal to the PYD/YPG that it would not be permitting a PKK-controlled corridor to be established on its southern border. While the West hesitated to show solidarity at the level that Ankara looked for, Putin immediately condemned the putsch and assured the Turkish government of Russia’s support. Rather than playing the role of rule-maker in Syria, Ankara is pursuing a strategy of damage control, recognizing the fact that a political solution is the only way to secure its southern border. Russia, Turkey, and Iran reiterated this approach at the Astana Summit in January 2017. After engaging with Russia over the Syria crisis, Ankara adopted a milder discourse regarding the Baath regime and Assad, which turned out to be another important gain for Moscow vis-à-vis reaching a solution in Syria. Turkey’s changing position in Syria had other repercussions on the ground; after Assad’s took control of Aleppo in December 2016, Turkey in coordination with Russia, opened a corridor to evacuate Syrians from the city. This further minimized the civilian losses in the country, while helping Assad forces to maintain control in Syria’s second biggest city. Nevertheless, there are still caveats in the coordination at the technical level. In February 2017, three Turkish soldiers were killed and 11 injured due to a Russian warplane’s airstrike in Al-Bab. After the incident, Putin called Erdogan to express his condolences and regrets. Even though the spokesperson from Kremlin, Dmitry Peskov, claimed that the wrong coordinates were provided by Turkish side, the Turkish military denied the claim. Ankara said that previously the coordinates were shared with the Russian counterparts more than once to avoid such an incident. Even though the coordination between security forces in areas like intelligence sharing has improved, this incident demonstrates that the level of coordination is still not at the desired level. The ongoing war in Syria requires the smooth flow of information between Russian and Turkish armed forces, but once again tension was alleviated by the political leaders. Realignment between Turkey and Russia seems to be advancing faster in political terms, however engagement with third parties appears to be affecting this momentum indirectly. Henri Barkey argues that “Ankara’s rapprochement with Russia has occurred amid increasing tensions with the United States…[and] Erdoğan’s anger at the Obama administration.” It is not a secret that Turkey sees Russia as a balancing actor against the West. This has become more apparent particularly after the failed coup in July 2016. While the West hesitated to show solidarity at the level that Ankara looked for, Putin immediately condemned the putsch and assured the Turkish government of Russia’s support. Neutrality from Moscow vis-à-vis Turkey’s domestic affairs is more appealing to Ankara than mounting criticism from the West over the country’s human rights and democracy rollback. Furthermore, the PYD/YPG’s advance to the west of the Euphrates pushed Turkey to more closely align with Russia, as Ankara failed to get US support to limit the PKK’s expansion. In many cases, Erdoğan and Foreign Minister Mevlüt Çavuşoğlu criticized American support of the PYD on the ground by providing weapons, but the US Ambassador to Ankara, John Bass, rejected such allegations. From Russia’s perspective, getting closer with Turkey might have further political projections other than the ones articulated above. Among them, energy is high on the agenda. After the reconciliation, both parties quickly took steps to cooperate in the energy field. During the press conference in St. Petersburg, Putin emphasized the importance of energy cooperation between Turkey and Russia. The Mersin-Akkuyu nuclear power plant is one of the main projects on the agenda. The Environment Assessment Plan was approved in December 2014 when Putin came for the HLCC meeting in Ankara. Following this step, the Russian contractor company, Rosatom, held a groundbreaking ceremony in April 2015. However, the project’s construction process was suspended after the jet incident. During the meeting in St. Petersburg, Moscow and Ankara discussed future steps and decided to designate Akkuyu a strategic investment. Obtaining this status means the project will have some advantages like tax exemption, land assignment, and loan support. Facing financial difficulties, these sorts of incentives will definitely ease Russia’s burden and may give some impetus to the slowly moving project. When completed, this power plant will have a capacity of 4800 MW and is estimated to supply 8.06 percent of Turkey’s electricity demand by 2025. Cooperation with Russia’s state-owned energy company, Gazprom, is another important aspect of bilateral relations. Turkey is the second largest consumer of Gazprom in Europe following Germany, and Gazprom intends to expand its operations in Turkey from 2020 onwards. However, it is not a problem-free area. There is still an ongoing arbitration case between the parties regarding the price given to Turkey’s state-owned energy company, BOTAŞ. Failing to get a fair discount from Gazprom, Turkey decided to go to the arbitration court in 2015, following the precedents in the European market. This issue continues to be a contentious matter between Turkey and Russia, but does not affect cooperation in the energy sector dramatically. If Moscow manages to get a foothold into Europe via the Turkish border it will have a chance to dramatically undermine Ukraine’s role as a transit country. An interesting shift in bilateral energy affairs is the modification in Russia’s approach to Turkey. Rather than seeing Turkey as the ultimate destination for Russian natural gas, it has recently started to see its neighbor in the south as a potential transit partner. During his visit to Turkey for the HLCC summit in Ankara in December 2014, Putin announced the cancellation of the South Stream gas pipeline project and said that Russia might continue with the Turkish Stream. After the deterioration of the relations with Turkey the Turkish Stream project was suspended. During the meeting in St. Petersburg, the issue was brought up once again and the intergovernmental agreement on the construction of the Turkish Stream was signed in Istanbul during the 23rd World Energy Congress in October 2016. The initial capacity for the Turkish Stream was downsized from 63 bcm to 31.5 bcm. Still, the revised capacity is beyond Turkey’s demand considering the existing contracts with third parties and Turkey’s level of dependence on Russia. The pipeline project will be composed of two strings, each with a capacity of 15.75 bcm. The first string will be supplying gas directly to the Turkish market, whereas the second string will be transporting gas to Europe. Gazprom had already spent 4.66 billion dollars for feasibility studies and gas pipes for the South Stream project. Facing bureaucratic and legal difficulties with the EU Commission and Bulgaria, Gazprom failed to continue with the project and rather decided to substitute the line with the Turkish Stream. This will help Gazprom take advantage of previous expenditures. Produced pipes can be used in the Turkish Stream and the feasibility study partially serves the interest of Gazprom, since the pipeline will be following a similar route that South Stream would have – up to the limits of Bulgarian Exclusive Economic Zone. But there are also political reasons behind this decision. One of the main factors is Russia’s desire to undermine Ukraine’s importance as a transit country. Russia has been planning to decrease its dependence on Ukraine as a transit country since the 2000s and articulated this vision on various levels. The construction of the Nord Stream and plans for the South Stream project were reflections of Russia’s new strategy to diversify routes for reaching Europe. Economically, the infrastructure in Ukraine needs a major renovation and Ukraine does not have the necessary sources to undertake such a demanding project. Meanwhile, Russia does not want to invest billions of dollars without having control on the pipeline system. Thus, if Moscow manages to get a foothold into Europe via the Turkish border it will have a chance to dramatically undermine Ukraine’s role as a transit country and open a complimentary route for Nord Stream in the south. Turkey receives 12 to 14 bcm of Russian gas via Ukraine per annum, and these numbers will potentially increase after the construction of the Turkish Stream. Following its construction, Russia will remain Turkey’s main gas supplier, and Turkey will become further reliant on Russia with the completion of the Mersin Akkuyu nuclear power plant. Being dependent on Russian gas at a level of more than 50 percent is a matter of energy security and after the completion of the ongoing projects, this may hardly change in the 2020s. Still, the Turkish Stream constitutes certain advantages for Turkey as well. First, after the construction of the Turkish Stream, the transit risk for Russian gas will be eliminated. Second, “Russia can eliminate the extra tariff costs incurred along the Ukraine, Moldova, Romania, and Bulgaria route, which make the gas expensive for Turkey,” and direct access to Russian gas with the elimination of these countries may decrease the cost of energy for Turkey. Third, Turkey may enjoy the transit fees from Russian gas transmission through its territory, and bilateral energy relations may upgrade to the next level of cooperation rather than Turkey being the last destination for Russian gas. There are promising outcomes for both parties in the energy sphere, but there are also fragilities. Mersin-Akkuyu and the Turkish Stream are multi-billion dollar projects. Russia faces financial constraints due to low oil prices and Western sanctions. This may necessitate developing financial solutions in the future or turn into impediments before these projects can be constructed. Additionally, it is hard to ignore political fragilities; the possibility of the further deterioration of relations between the West and Russia might negatively impact the future of the Turkish Stream. Here, political dialogue between Russia and Turkey may help to hinder such problems up to a certain extent, but economic constraints may need further creative solutions to be developed. The reinvigoration of ties between Russia and Turkey in June 2016 introduced new dynamics in the relationship. There are efforts underway to deepen coordination and there are signs of cooperation in political and economic spheres. However, relations are not developing via institutional links, but rather are being steered by the political leaders in Russia and Turkey. In this sense, bilateral relations are more actor-driven. In the post-crisis reset, both Putin and Erdoğan are more prone to coordinating with each other, rather than acting unilaterally. The assassination of Russian ambassador to Ankara, Andrei Karlov on 19 December 2016 is an example to this end. Rather than ascribing blame, the Kremlin and Ankara coordinated at the onset and cooperated in the investigation of Karlov’s murder. Nevertheless, it should be underlined that the established institutional mechanisms were incapable of preventing the crisis between Russia and Turkey on 24 November 2015, and are still underdeveloped. The same fragilities exist. The parties work on an ad hoc basis, rather than seeking to build new institutional mechanisms. It is also hard to ignore the importance of backdoor diplomacy, but the pace of bilateral steps taken for turning back to pre-crisis level seems to be falling behind the used rhetoric. The relations are not moving on a problem-free track. On the one hand, Russia projects the image of a cautious actor while removing sanctions on bilateral trade and re-adopting a visa-free regime. Additionally, Ankara feels uncomfortable with Moscow’s non-transparent dialogue with the PKK. On the other hand, Turkey continues to give mixed messages about Assad. The ongoing security threats in Turkey might shape Russia’s position particularly for the visa-free regime, but it seems that more time is needed for trust-building between the parties and that some differences need to be bridged. Both Russia and Turkey acted swiftly in responding to security threats emanating from Syria. In this regard, conjuncture plays a crucial role and both sides gained political advantages on the ground by cooperating in Syria. Fragility prevails in the Syrian crisis: the changeable form of state forming after the Astana meeting, as well as the uncertainty surrounding the Trump administration’s position in the crisis present many unknowns, which have the potential to affect balances on the ground. Under these circumstances, it is hard to claim that the newly established relationship is crisis-proof and sustainable in the long run. Increased investment in bilateral relations on both sides is needed, and a success story in Syria may pave the way for further cooperation between the two parties in the political sphere on multiple levels. Strategic cooperation in the energy realm may play the role of an anchor as it did before, however the breakdown in relations following the downing of the Russian jet is a testament to the fact that energy alone cannot thaw the ice should relations go south in the future. For further information about existing institutional mechanism between Russia and Turkey please refer to Habibe Özdal, Hasan Selim Özertem, Kerim Has, M. Turgut Demirtepe, “Turkey – Russia Relations in the Post Cold War Era: Current Dynamics – Future Prospects,” USAK Report No: 13-06, July 2013. Laila Bassam and Tom Perry, “How Iranian general plotted out Syrian assault in Moscow,” Reuters, 6 October 2015. Liz Sly and Karen DeYoung, “Turkey agrees to allow U.S. military to use its base to attack Islamic State,” Washington Post, 23 July 2015. Davutoğlu’ndan Rus Uçağı ile İlgili Değerlendirme, [Davutoğlu’s Assessment about the Russian Jet] Milliyet, 27 November 2015. Authors' interview with Fyodor Lukyanov on 22 February 2015. Abdülkadir Selvi, “Cerablus Operasyonun Kodları” [Codes of Jarablus Operation], Hurriyet, 22 August 2016. The Democratic Union Party (PYD) represents the strongest political party in Syria’s Kurdish wing, and the People’s Protection Units (YPG) is its armed wing. Tunnel on Turkey's border with Syria exposes PKK, PYD links, Daily Sabah, 5 November 2016. Dorian Jones, “Suspicions About Russian Support of PKK Grow in Turkey,” VOA News, 27 May 2016; http://www.voanews.com/a/suspicions-about-russian-support-rebels-grow-turkey/3349122.html; Fatih Çekirge, “The secret of the Russian soldiers in Qamishli,” Hurriyet Daily News, 22 January 2016. “Mehmet Şimşek’ten Rusya İtirafı: ‘9 Milyar Dolar’” [Confession from Mehmet Şimşek about Russia: 9 Billion Dollars], Cumhuriyet, 7 December 2015. Murat Yetkin, “Türk-Rus Krizini Bitiren Gizli Diplomasinin Öyküsü” [Story of Secret Diplomacy behind the Turkish-Russian Crisis], Hürriyet, 8 August 2016. The statements about Turkey’s normalization with Israel and Russia came at the end of June 2016. Joint Statement by Iran, Russia, Turkey on the International Meeting on Syria, 23-24 January 2017. TSK 3 Şehit ‘Kazası’nın Ses Kaydını Verdi...’Uyarı’ Moskova’da [TSK Shared the Voice Records...Warning is in Moscow], Karar, 17 February 2017. “Turkey 2016 Report,” European Commision, 9 November 2016. Failing to negotiate for a fair price or terms for Russian gas, European companies like German E.ON and Italian Edison decided to go to arbitration courts in the past and they managed to get a favorable decisions on their account. Ziya O¨nis¸ & S¸uhnaz Yılmaz, “Turkey and Russia in a shifting global order: cooperation, conflict and asymmetric interdependence in a turbulent region,” Third World Quarterly, Vol. 37, No. 1 (2015), p. 15; Oktay F. Tanrisever, “Turkey’s Energy Strategy,” Concordiam, Vol. 15, No. 2 (2015), p. 19. 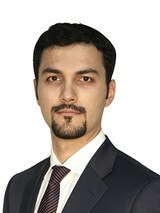 Ilgar Qurbanov, “Perspective for Turkish Stream Project: Possible Scenarios and Challenges,” Caucasus International, Vol. 6, No. 2 (2016), p. 77. Hasan Selim Özertem is a PhD Candidate in the Department of Political Science and Public Administration at Bilkent University, Ankara.